what this indicates? I think it indicates that the rear spoiler was factory or dealer installed. So, what do you think. Keep stripes as is for historical reasons or update to correct length. Here's a thread on the rear spoiler (D80). On the stripes it's your car do what you think is best. The thread was very interesting. I went and looked at my trunk lid torsion bars again. one is thicker than the other. of the rods. The rods also have trunk splatter on them as well. Does the having orange overspray on the rods indicate that their factory rods? Maybe I should post a picture? I'm not sure if it helps. configuration, basically the same as the '68 Z/28. closely than it has been in the past. 10A-built Van Nuys car in original paint with the early rear stripes. Another original paint Burnished Brown Z with the low-style rear stripes. Theres two different patterns in the above pictures, the first group of stripes only extend about an inch onto the panel between the trunk and rear glass (tulip panel? ), and are spaced so that they almost touch the body seam between the quarter panel and the tulip panel on the outer edge. Then there are the three immediately above this post that has the stripe extending almost halfway to the rear window on the tulip panel but are moved closer together probably 2 or 3" from the quarter/tulip panel body seam. Yes, that's what I'm trying to point out. 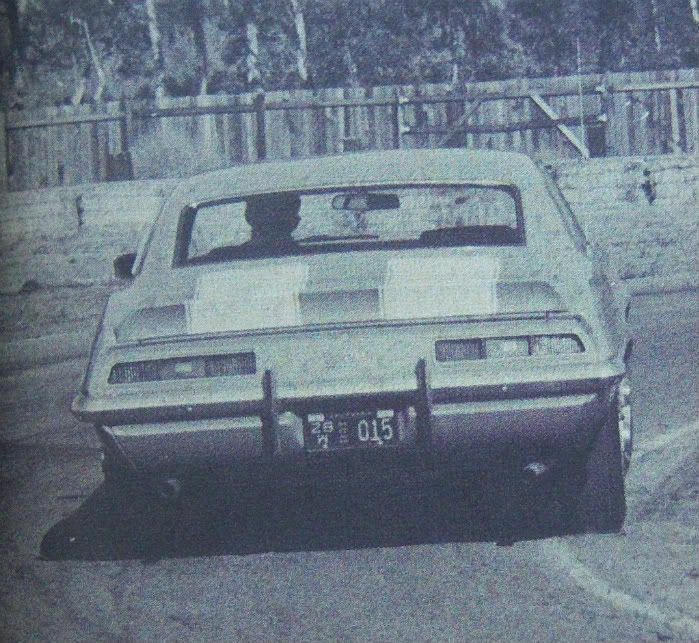 There is not just one factory applied rear stripe pattern for the '69 Z/28. There are actually three different versions. The one that extends onto the rear "tulip" panel about an inch or two is the least understood in terms of when it was done but it is a factory applied, legitimate stripe pattern and my opinion is an owner of one of these cars should not be docked points at a judged car show event because the judges are not aware of it. 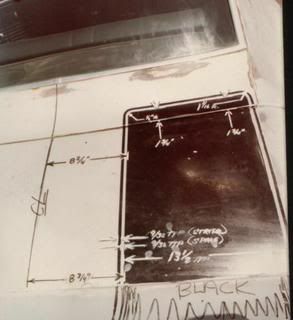 This is my car with the origional paint that was on it in 1971, before I had it "correctly" re-painted in 1982. I had never seen and was not aware of the assembly manual instructions before I measured them. Last year it was certified by MacNeish as a "very origional unmolested survivor class" Z/28 with one repaint. I had kept the origional factory paint flat hood when I installed a cowl hood. MacNiesh spent more time looking at the hood than any other item ! He stated that the hood has an origional correct factory paint job. Of the 4-5 Z/28's that seem to have the short rear stripes from the factory, all share the same information. All seem to be Z/28's without a factory installed Spoiler. All were made in LA. All have stripes that match the assembly manual. Of the three that I know the VIN numbers, they are within 500 VINs of each other. My guess is that on one or a few days in late October 1968 someone painted the Non-Spoiler Z/28's incorrectly to match the Assembly manual instructions. This would make only a very few were painted at the factory per the "incorrect" Assembly Manual. mine was added in '82 when I had it re-painted. It was easier to re-paint mine to match what was know, then try to explane why my stripes did not match others in 1982. I am a newbie here, I just stumbled across your post on the stripes. I have a 69 z28 RS from Van Nuys with the short stripes original paint. Unfortuanately considering selling it. Your info is useful, thank you! Have you seen this kind of issue with '67 or '68? I have only seen this issue with '69s. I am aware of 10D and 12A LOS cars with this stripe oddity. There may be other build weeks as well. From this discussion I think their may be something to say concerning early built Van Nuy's 1969 z28's. 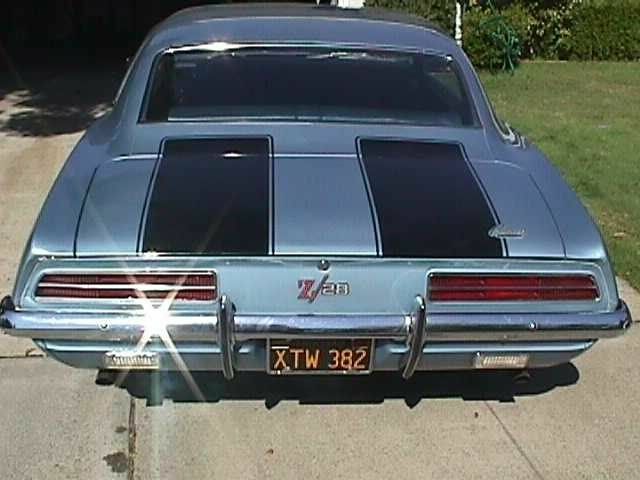 The sentiment from this discussion indicates that those early build 69 Z28's were painted improperly, even though the Assembly manual provides those specifications. 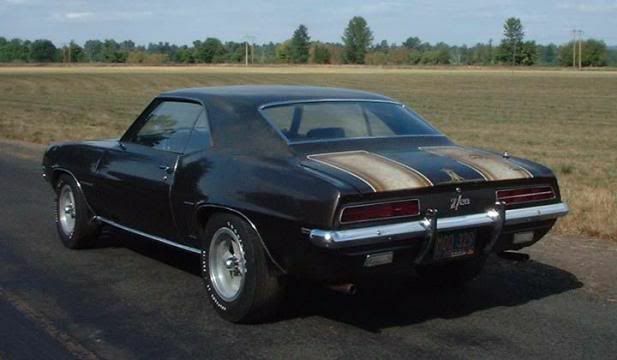 It is my opinion, that those of you who have one of these early built Z28's with the short rear stripes have a factory built 1969 Z28 Camaro. It is for sure is a rare occurrence, and only so many exist with the short rear stripes. This alone may make those vehicles more valuable and another indication of authenticity. I would like to hear what Jerry M thinks about that.